Over the past few years I have been approached to re-post my old Director and Kiosk podcasts. While I have been hesitant, as the content is several years old, I have decided to post them here for archival purposes. This is due to my active involvement in the LiveCode community and several of the people over there that remember these audio gems. It has been YEARS since I have hear these and after listening to a few I got all warm and fuzzy on the inside remembering the passion and the fun I had producing these and my love for Director as a production tool. I miss those days but I love where I am today with LiveCode. It is also fun to hear the quality of the shows as I started off all the way until episode 40 which is where I left off. I will try to post a couple of these per week and then at the end I will will put a directory page together with all the episodes listed in one easy to use index page. For those of you who do not remember me from these episodes, I produced a series of audio broadcasts called the Director Podcast and the Kiosk Podcast. The Director Podcast was all about Macromedia Director which later was bought by Adobe. 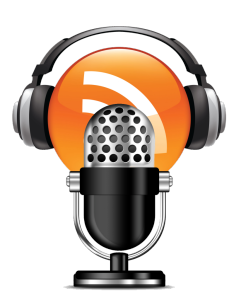 Given I was producing lots of kiosk based software back in 2005-2006, I also launched a show called the Kiosk Podcast. They both went hand in hand for the Director community. Adobe eventually destroyed the product for MY business purposes and I had to move on to other tools. The one I finally settled on after many years of searching, was a product called LiveCode which has proven to be far superior in its power and support. The one thing that hasn’t changed is the community around the product line. There are several familiar names and faces from the Director community that have transitioned over to LC and all are active and supportive. It is rare to find such a group of helpful programmers willing to share their time and expertise in the way that they do. Time for me to start posting these shows. Let me know if you remember these golden days and were part of the shows.